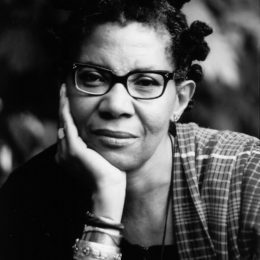 M. NourbeSe Philip is a poet, essayist, novelist, and playwright who was born in Tobago, in the twin island state of Trinidad and Tobago, and now lives in Toronto. She is the author of four books of poetry, including Zong!, a novel, and three collections of essays. Wesleyan University Press brought out a new edition of She Tries Her Tongue, Her Silence Softly Breaks in 2015.